Calinawan Cave is the first place we visited on our day trip to Rizal province. This is a privately owned cave with an entrance that first has you going down a set of concrete steps. From there you are confronted with a multi-level cave system with various chambers, stalactites, stalagmites, and creepy rock formations in which ghoulish faces appear. During the Spanish-American War and the Second World War, the cave was apparently used as a hideout. 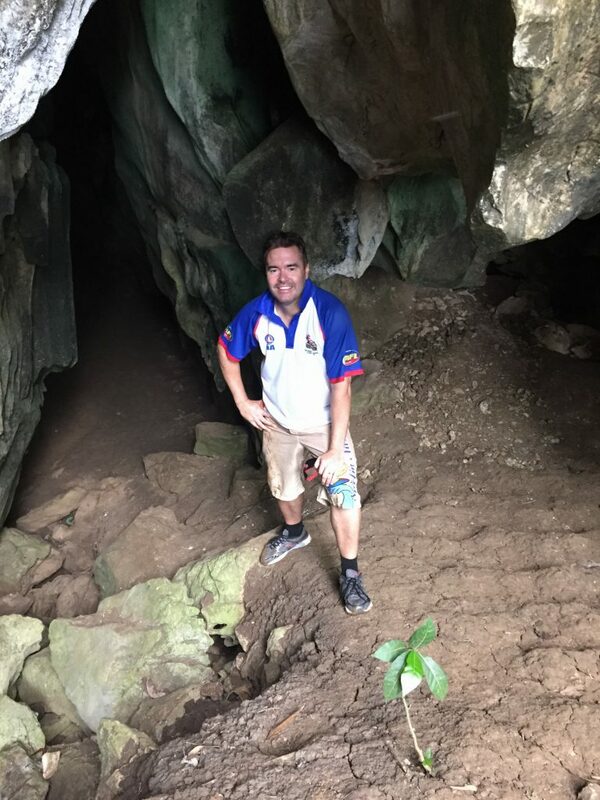 The caves have since become so popular that they have been used in the filming of a number of local television programs. As a result, they have enhanced some of the natural crystals by adding glitter on some of the rocks. 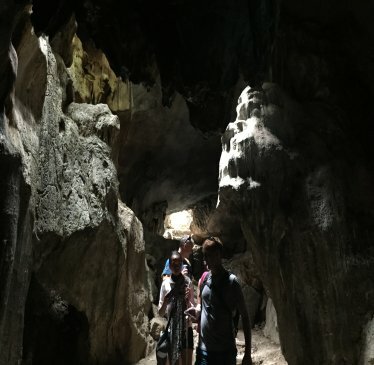 The walking paths through the cave are not very difficult, and you don’t really need to have any caving experience to enjoy the spectacular scenery. The guides have flashlights and make the tour fairly easy. Depending on how often you stop, the tour of the caves takes anywhere from 30 to 45mins. 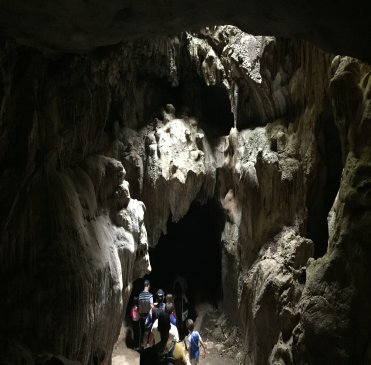 Tanay offers so many attractions aside from Calinawan Caves, so get out there and explore it! This is the view when you first enter the cave. Absolutely amazing rock formations with some natural light being let in from above. According to the locals, there are several layers to this cave although we only explored two levels. The full cave system is yet to be properly mapped and it’s estimated to go for kilometres in length. The end of the trail where you come out from the opposite end to where you start. Then it’s just a simple walk back up to the road and a ten-minute walk back to the starting point. The ceiling of the cave in this section was quite high and also had a gap to allow the natural light to flow through which gave a great view of the rock formations. There is an entry fee of P20 but you will need a guide. There is no set fee for the guide but P200 is a reasonable gesture. 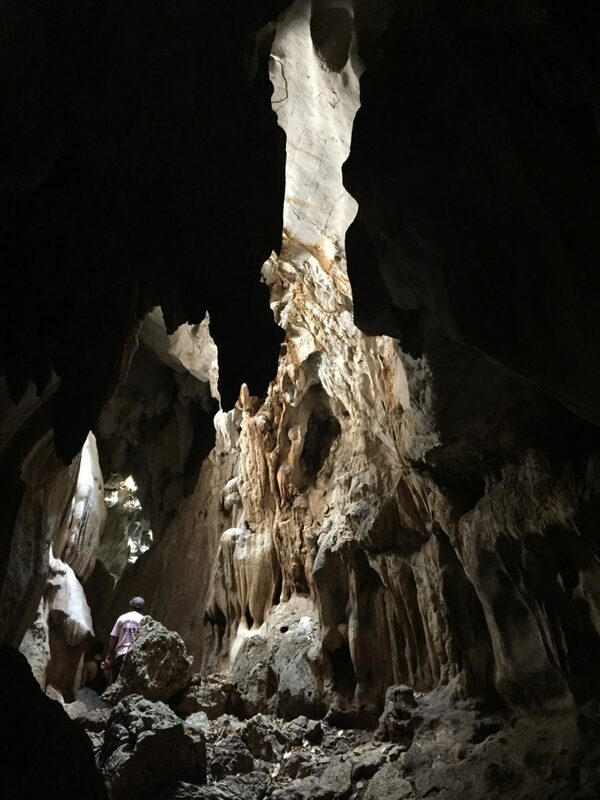 Calinawan Cave is about 70 kms from Makati, which by car, is just over two hours. There are plenty of signs for Calinawan Cave and Daranak Falls along the way, which is unusual for the Philippines. You could hire a car for the day from Makati for about P5,000. For those without a car, from Starmall in Mandaluyong, there is an FX/van Terminal on Shaw Boulevard. From there you can ride an FX/van bound for Tanay, Rizal for P70. The van stops at the Tanay Public Market and the travel time is about 1.5–2hrs. From Tanay Public Market, you can hire a tricycle going to Calinawan Cave/Daranak Falls for about P100 one way. From Calinawan Cave, it is recommended to go to Daranak Falls (and Batlag Falls), both only about 5-6kms away. If you don’t have a car, you can hire a tricycle for less than P100. If you are feeling adventurous, you can easily walk it in about one hour as most of the roads are paved and in decent enough condition to walk.